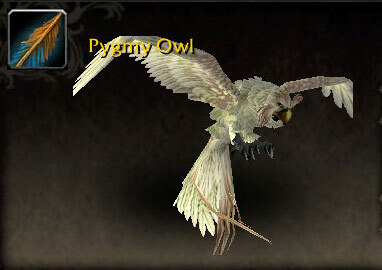 This lovely owl (pictured right) is a Bind on Use drop from Gorebeak, a rare elite found in Val'sharah. Although only one pet was added to Alpha this time around, there are dozens of pets coming in the expansion. We look forward to collecting all of them! 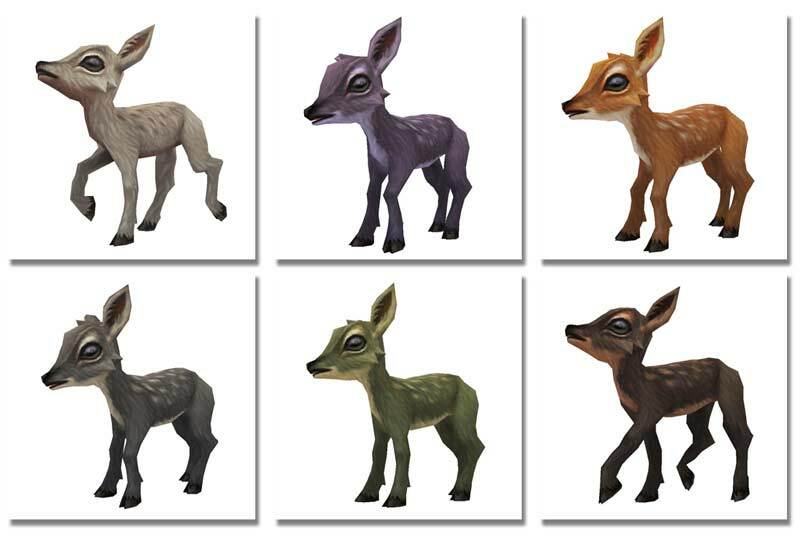 A new model was datamined in the recent Alpha patch, an adorable baby deer in six different colors (pictured below). It's currently unknown if this will be a collectible pet, but we certainly hope so! Do WoW developers not have Google Image Search? Can they not look up what colors a Pygmy Owl are? I love raptors, and when I first started collecting pets it was the owls in the game. (I had the original CE, but my Nelf always had her owl out!!) If the names were nonsense names, it wouldn't matter to me, but a Pygmy owl is a real thing! They can be grey backed, brown backed, but they're not "nearly all white with some brown edging". #Disappointed. The eyes really creep me out. And yet, I know I will still try to collect it.